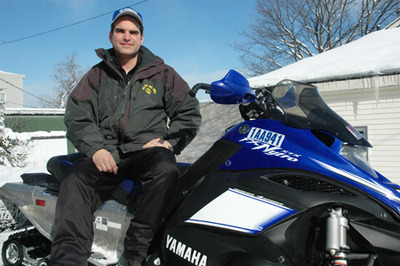 On Wednesday, February 17th, Toronto native, Matt Weidinger, on his Yamaha FX Nytro XTX will attempt to break the world record for distance traveled on a snowmobile in 24-hours on the Lake of Bays located in the Province of Ontario. The current record is 2,262 km (1,406 miles) and is held by Vince Lofquist of Florence, Wisconsin. In order to do this you have to average about 100 km/h during the 24 hours and the only place you can do that is on a lake, a very big lake. Guinness knows there are speed limits on snowmobile trails, they won’t recognize anything that breaks a speed limit. There is no speed limit on a lake so that’s pretty much the best place to do this.